One of the top challenges for ecommerce businesses is keeping customers engaged throughout the checkout process. When a customer enters the checkout line at a brick-and-mortar location, they are more than likely going to make a purchase. This isn’t the case online; in fact, it’s the opposite. A majority of customers abandon the checkout process online; the average cart abandonment rate is a whopping 69.23%. The reasons that customers abandon the checkout line in physical stores is minimal compared to the reasons that customers abandon the checkout process online. A long list of reasons creates a long checklist of tasks for ecommerce marketers and businesses. In order to ensure the highest rate of purchase, you will have to ensure that the entire checkout process is transparent, offers value to customers, and provides a top customer experience. Even if you optimise the checkout process to the best of your ability, customers will still abandon their carts. After all, no one is physically watching them if they abandon a cart, and they won’t face any monetary penalties for doing so. 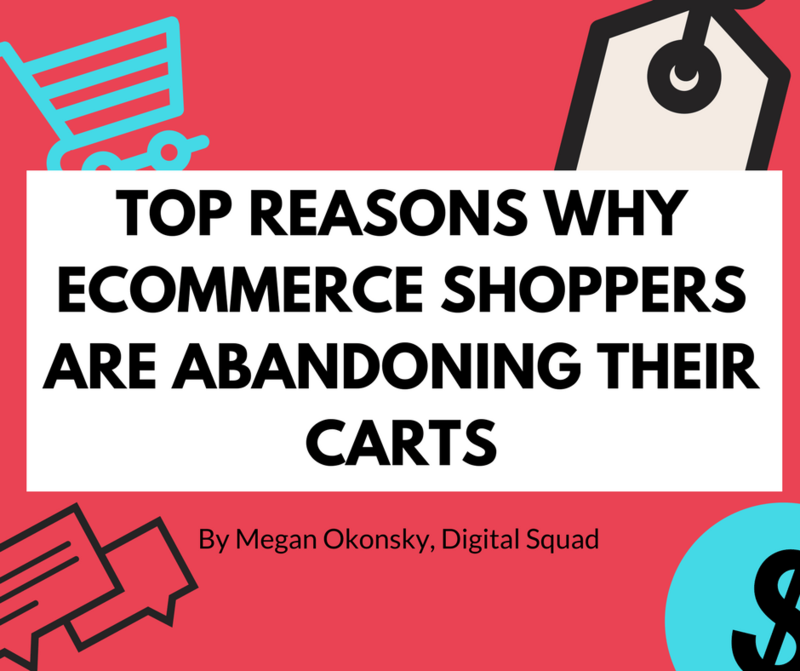 So let’s look further into why customers are abandoning their carts, and what your ecommerce business can do to keep engaged throughout the checkout process. Why Are Shoppers Abandoning Their Carts? The price of your products might be on point, but if you tack on extra charges at the last minute, the buyer may back away. This consistently tops the list across many different surveys and studies. If you are finding that high shipping costs are turning potential customers away, be more transparent about costs or adjust your prices to account for shipping. If you can generate revenue that outweighs the cost of offering free shipping or other promotions, you should consider sending these discounts out via email or targeted advertisements. Customers may also abandon their cart if a business doesn’t offer express shipping. Customers are more likely to expect express shipping to come with higher costs. Setting prices for shipping and how that factors into your overall pricing scheme depends on the preferences of your customers and when they typically buy products. If your customers tend to procrastinate and buy gifts a week before holidays, put a priority on express shipping. If your customers are more likely to look for a good deal, prioritise lower shipping costs. The best way to learn what your customers are looking for is to send out surveys and get feedback about their shopping experience and what they want to see from your company in order to make a purchase or become a loyal customer. Customers want a seamless, simple experience shopping and making a purchase. One in four buyers have abandoned a cart because the checkout process was too long or too complicated. Setting up an account extends the checkout process, takes buyers away from their cart, and may be too much to ask at the time. The solution to this problem is pretty simple: offer a guest checkout that allows customers to head straight to checkout. Give customers the option to create an account with your store, and be sure to follow up with customers after a purchase with another chance to create an account. Offer incentives to add value to the account; customers will be more likely to take the time to create an account if they know they are getting something out of it. Long loading time, crashes, and other issues also disrupt the customer shopping experience. Run periodic tests across all devices to make sure that your site is working smoothly and that customers can put items in their cart and pay without any issues. Don’t overlook how your site works on mobile devices. Over one-third of all traffic to ecommerce sites (35%) comes from mobile devices, and 30% comes from tablets and iPads. Make sure your site is compatible from the first visit to the final purchase, on desktops, tablets, and mobile devices. Asking for credit card numbers and other personal information often goes hand in hand with creating an account. Customers are given one extra step to step back and think about their purchase. This step also involves sharing personal information with a new business or brand. Do you blame customers for being apprehensive about giving away their personal information? When ecommerce sites have a form for customers to enter a coupon code, they suggest that coupon codes are available online somewhere. When customers see that form during a purchase, they are more likely to abandon their cart and look online for available codes or discounts. Sites like RetailMeNot or Groupon make finding coupons easy; if a customer can’t find one for your business, finds only expired codes, or finds a decent deal for another business, they are more likely to abandon their purchase. Even if the rest of the purchase goes well, a lack of coupons can turn a customer off; 8% of customers have listed “no coupons” as their top reason for abandoning a cart. If a checkout process is confusing, customer service can save the day. If you don’t offer an easy way to reach customer service representatives, you’ve dropped the ball twice. A majority of customers (51%) are more willing to make a purchase online if they can chat to a customer service representative during the checkout process. Ecommerce businesses have more options for providing customer service; AI chatbots are one of the hottest trends for digital marketers and businesses that sell products or advertise their services online. The customer experience doesn’t stop when the customer makes a purchase. If a customer anticipates a poor experience trying out the product, or possibly returning it, they are less likely to buy. Two-thirds of buyers are more likely to buy if they are comfortable with a company’s return policy. Make sure yours is transparent and communicated throughout your store. If you are sending out surveys or conducting focus groups, remember to ask about your current return policy and how it can be improved. This might be the final key to securing a purchase. Sometimes, a customer is genuinely “just looking” for the moment. They may be conducting research and adding a few items to different carts across different sites to simulate a shopping experience. The process along the buyer’s journey sometimes expands over days or weeks, but if you are patient and don’t give up on users who were “just looking,” you can make more sales and generate more revenue. How do you revisit customers when they are ready to buy? 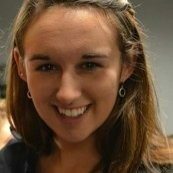 Set up a remarketing campaign. Use the above tips to boost conversions, but know that not every buyer is going to complete the checkout process. When a buyer abandons their cart, you shouldn’t abandon them or just wait around for the off chance that they will remember your business and finish the transaction. Online users have short attention spans, and while you are waiting for them to come back, your competitors are filling their newsfeeds and search results with advertisements. Businesses can bring buyers back to their cart with remarketing. Remarketing is on the rise to becoming a top strategy for ecommerce and other digital businesses. It places advertisements in front of customers who are most likely to buy and encourages them to come back to your website, store, or unfinished purchase. Remarketing can target specifically customers who have items in a shopping cart, or expand further to reach customers who have visited your site but should give it another look. These customers have already made efforts to interact with your business; they just need a final push to make a purchase or share their contact information. Remarketing is often that final push for customers who were conducting prior research or didn’t want to make the effort to create a guest account. Customers that see retargeted advertisements are 26% more likely to go back to their cart and make a purchase. The data you need to build a remarketing campaign has already been collected – you just need to learn how to access it and use it to boost conversions. To make the most of a remarketing campaign, reach out to the experts at Digital Squad. Read how Digital Squad used remarketing to produce record sales for an ecommerce client. Digital Squad is a leader in SEO and digital marketing strategies, including remarketing. We know how to collect and analyse data in order to create specifically targeted campaigns. Remarketing can take place on Google AdWords, Facebook, or other online platforms where your customers are shopping. Learn more about how you can create a remarketing campaign with Digital Squad and boost conversions on your ecommerce site.